The weather in North Bay, Sudbury and the surroudning areas can make for some slippery conditions. Is your business faced with slippery surfaces that can cause a slip or fall? At EverLine Coatings we can eliminate the chances of a fall with the application of a non-slip specialty coating. 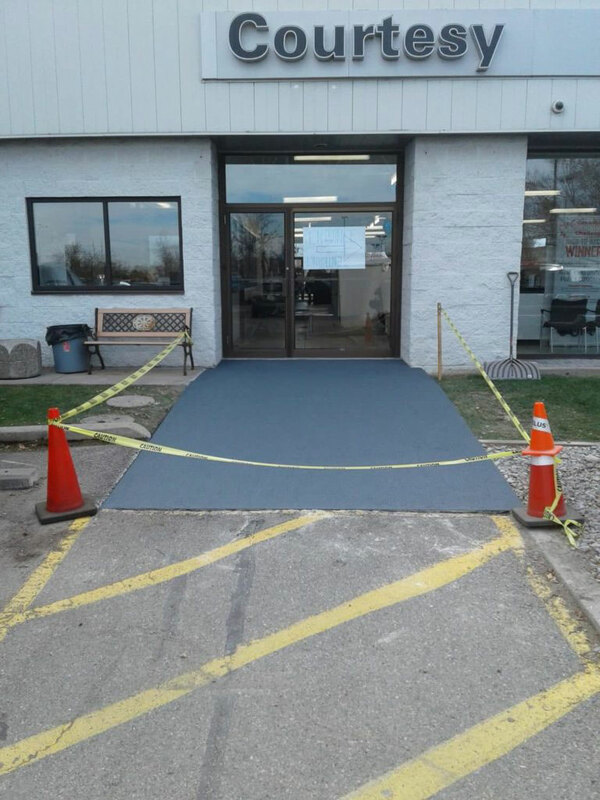 At EverLine Coatings and Services, we understand that your walkways can get slippery when bad weather hits North Bay, Sudbury and the surrounding areas. Snow, ice, rain and moisture can make for potentially dangerous conditions around your property. If someone were to slip and fall, it could also potentially create a liability problem for your business. But fear not, we have the best solution to prevent anyone from slipping on a slippery surface and injuring themselves while on your property. We can apply a non-slip specialty coating to otherwise slippery surfaces to stop people from falling in slippery conditions. The non-slip specialty coatings we provide have numerous indoor and outdoor applications. 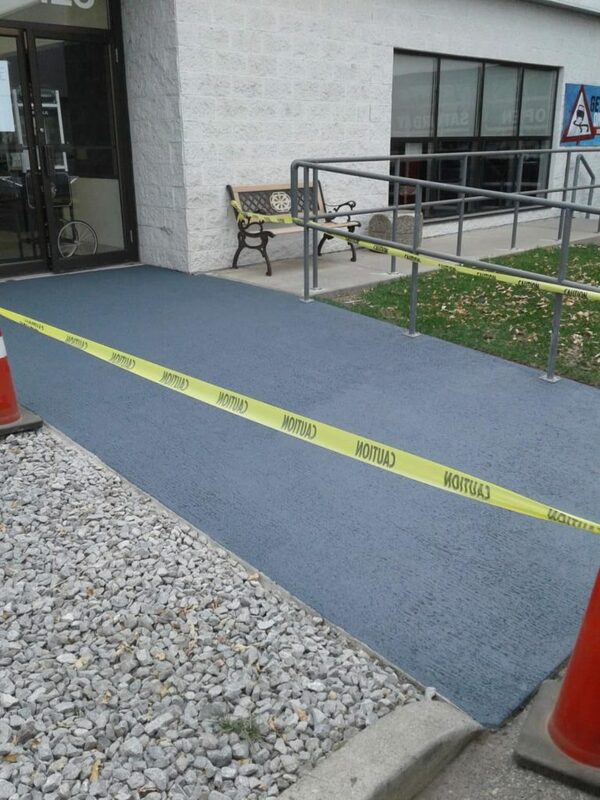 Whether it is a walkway, bike path, roadway or a surface inside the workplace, we can apply a non-slip specialty coating and protect the users of your property. When you select EverLine Coatings and Services over our competitors, you get the EverLine advantage. We use the best non slip coating products available and a professionally trained installation crew to go along with them. This ensures a perfect installation and a safe surface for everyone. At Everline Coatings and Services, we are considered the non-slip specialty coating experts. The art of applying non-slip coatings can be difficult to master. To ensure that the non-slip specialty coating has been properly applied to the surface, you need professional quality and good equipment to go along with them. Our professional coatings installers have been trained to work with any surface. Our crews use the best equipment to ensure the job is completed efficiently, within budget and to ensure the durability of the coating. You can be confident we will always send the best staff in the industry to apply a non-slip coating to your property. If you plan on receiving non-slip coating services from EverLine Coatings and Services in the near future, we ask you to take a few steps in preparation before our crew arrives.